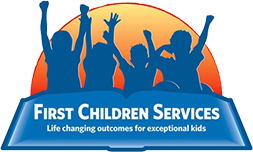 First Children Services is committed to providing the most qualified and professional school staffing services to your organization. As a provider organization ourselves we bring an added expertise and understanding of the day to day realities of direct service delivery in education, therapeutic, behavioral health and traditional health care settings. Our recruiters maintain a database of thousands of qualified candidates to fill your position of need. After successful placement our job does not stop. We will continue to work with the client to ensure the staff member successfully transitions to become a productive member of the client’s care delivery team.